Setting up for a day of fun art for the young and old. Pullen Pullen Catchment Group hold an annual 'Art in the Park' event where mostly local enviornmental / arts groups show off their wares and goods. I was asked to organise a simple but fun activity for the young [and older] could try their hand at painting. 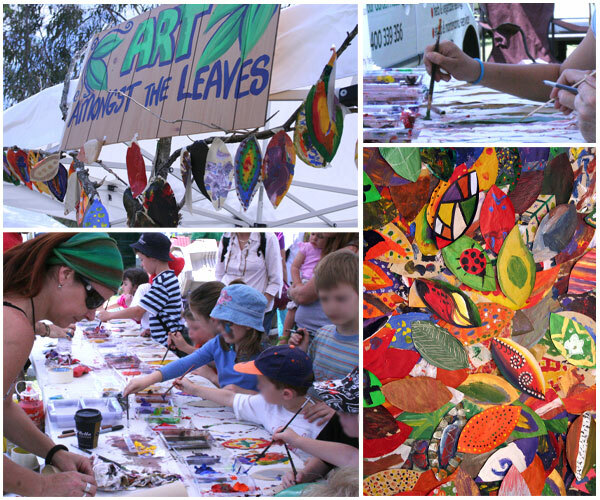 We let the children paint their designs on cut out paper leaves, then we attached them to our tent frame made from fallen tree branches... very effective and colorful by the end of the day.